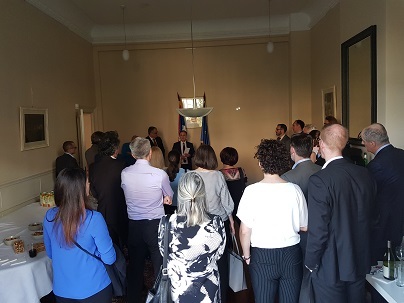 The first meeting of the informal association of Serbian-Dutch business people was held at the Embassy of the Republic of Serbia in The Hague on 19 April 2018. The meeting was attended by thirty representatives of various companies, and the aim of this informal association is to try to gather at one place, mostly small and medium-sized, Serbian and Dutch companies operating in both countries. 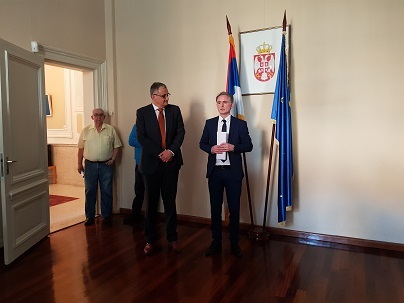 The guests were greeted by Ambassador P. Vico and M. Luli from the Dutch Agency for Entrepreneurship, who noted that there is a great potential for improving economic cooperation between the Republic of Serbia and the Kingdom of the Netherlands and that they will work together to complete that task.